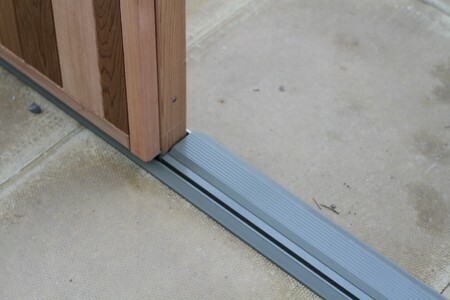 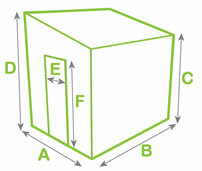 The unique Alton Evolution door system includes the low-profile door threshold. 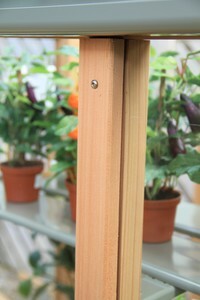 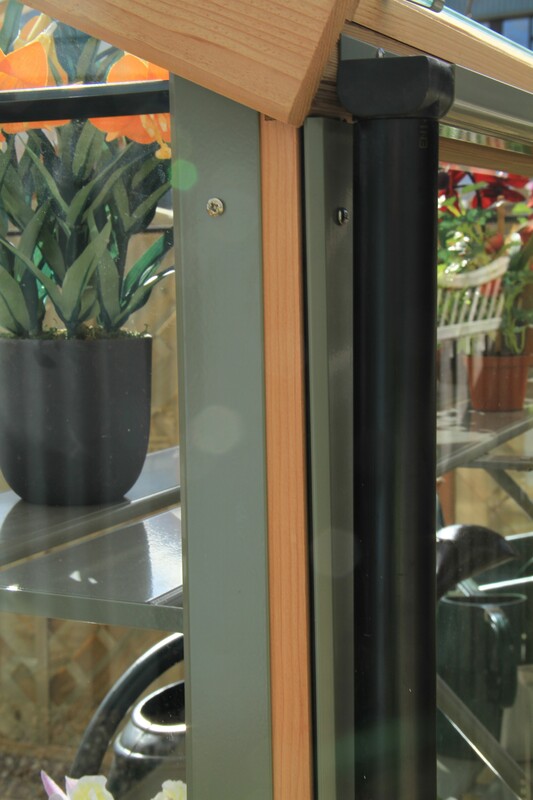 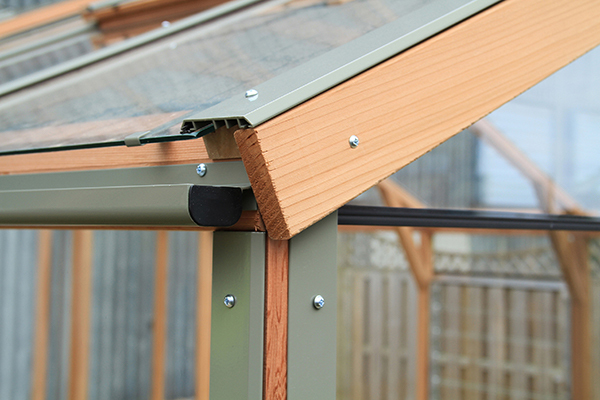 This popular feature means that you have no step at the door (many other greenhouses have a step at the door). Models of 8' wide and above have 4' wide access double doors which allow easy entrance for a wheelbarrow or wheelchair. 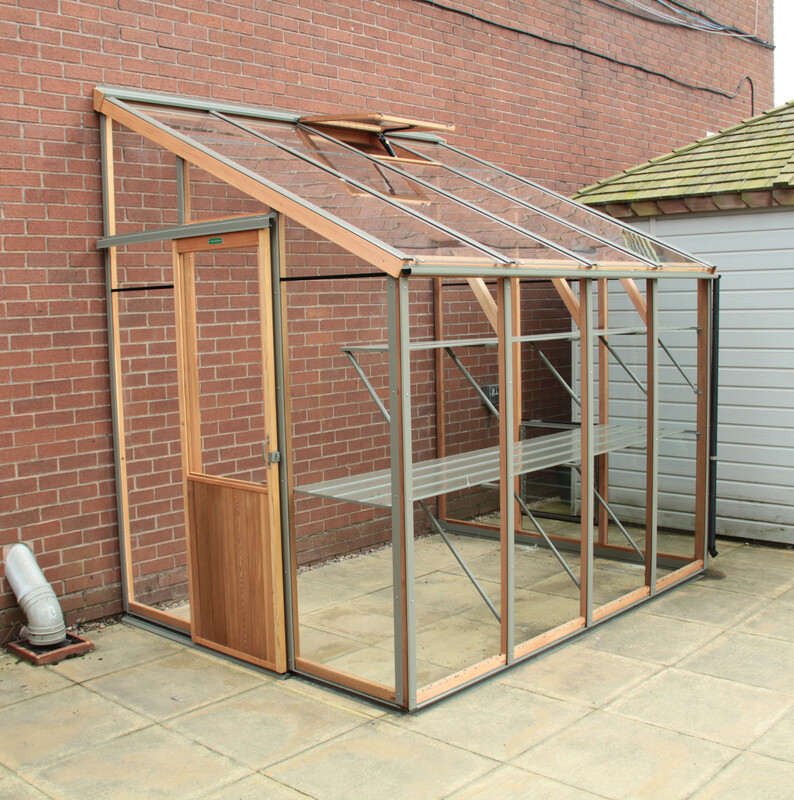 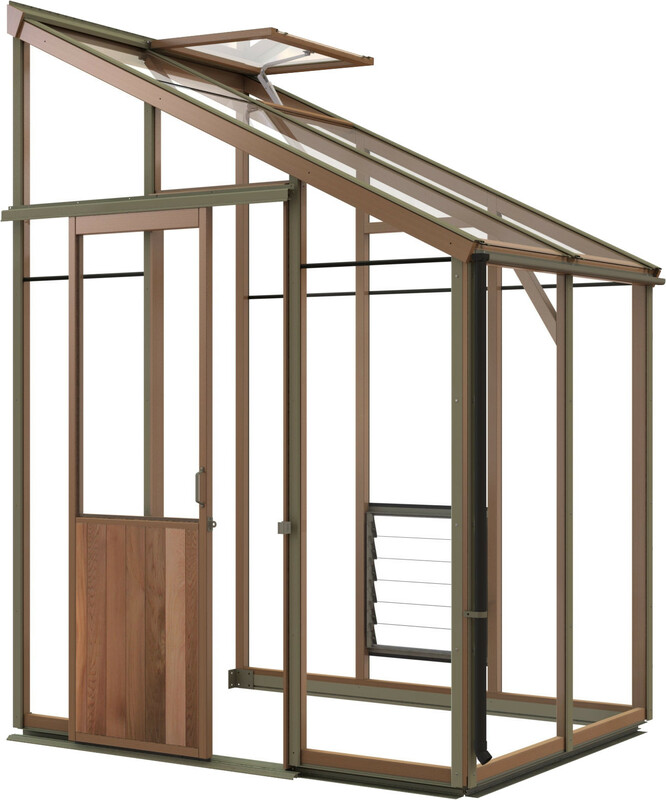 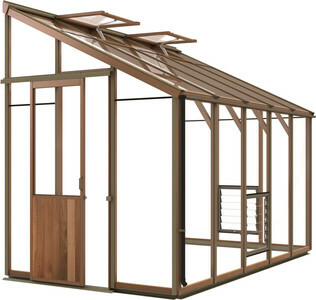 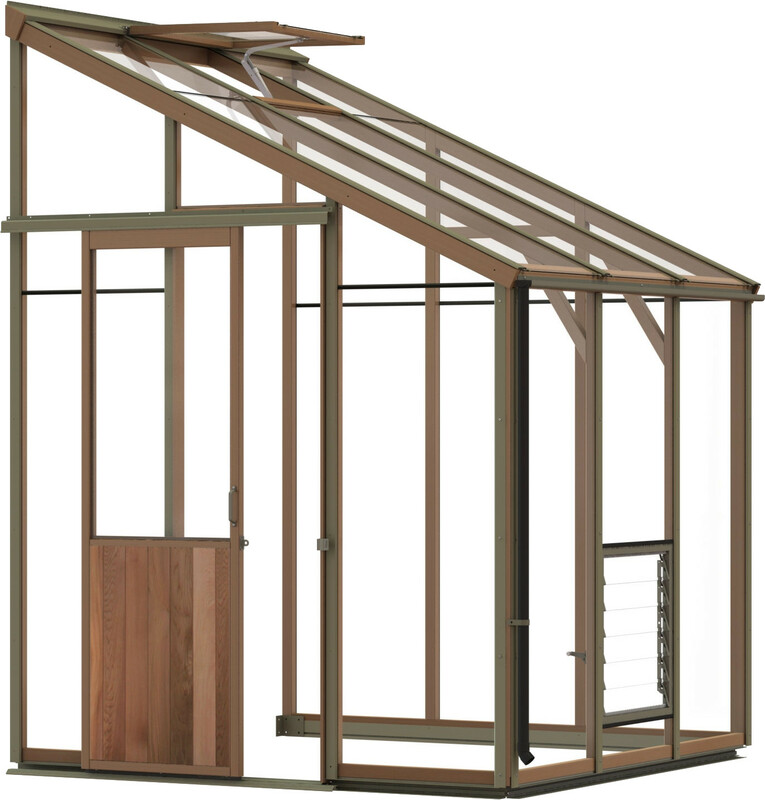 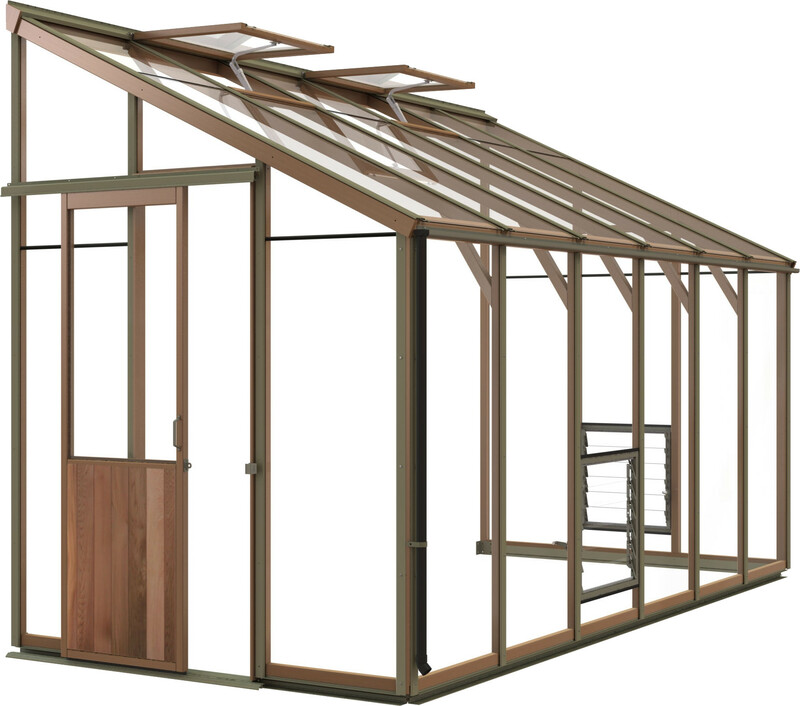 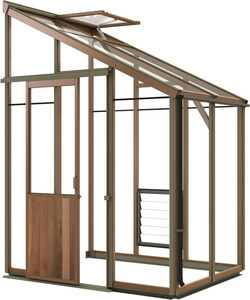 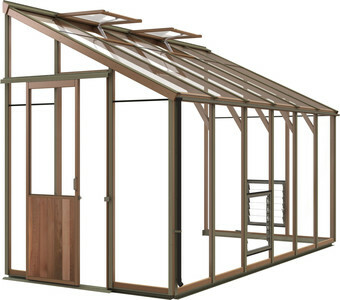 The Alton Evolution Six-LT 6'5"
The 6ft 5 inch deep Alton Evolution Lean-to is ideal if you have a nice wall against which to site your greenhouse. The properties of a lean-to greenhouse were well used and exploited by the Victorians, who often built greenhouses in the Lean-to style. 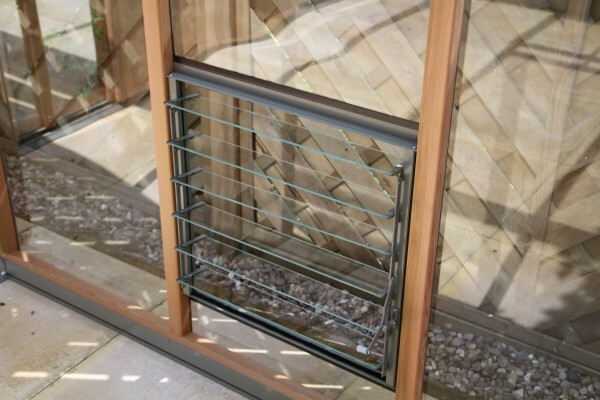 The rear wall acts as a heat sink or a storage heater – storing the heat of the day up and releasing it at night. Consequently, the greenhouse does not get as warm in the day and cools down more slowly at night. 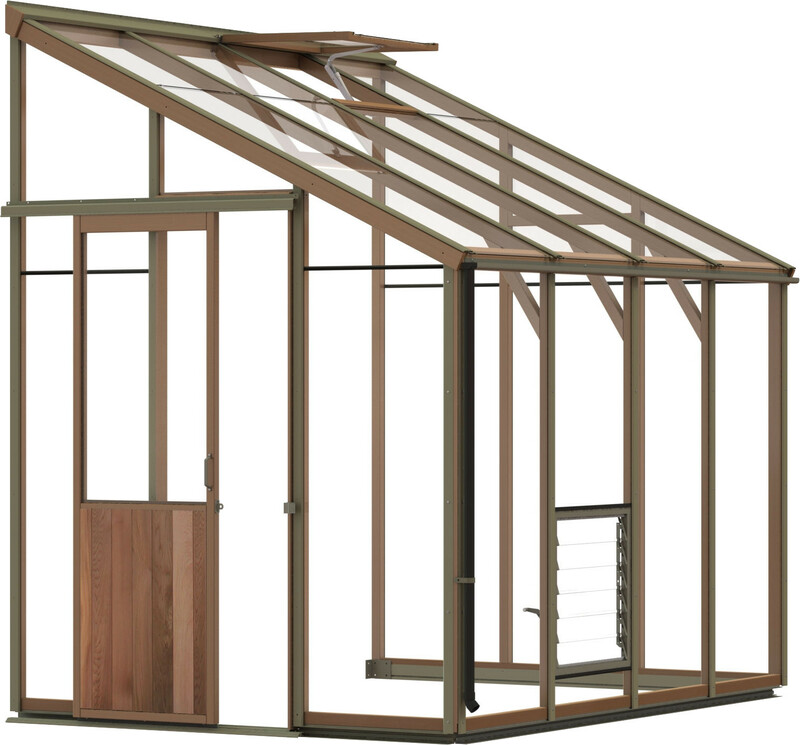 As with all Alton Evolution models, this Lean-to includes automatic roof vents and louvre(s) plus a generous eaves height and sliding single door with low level threshold. 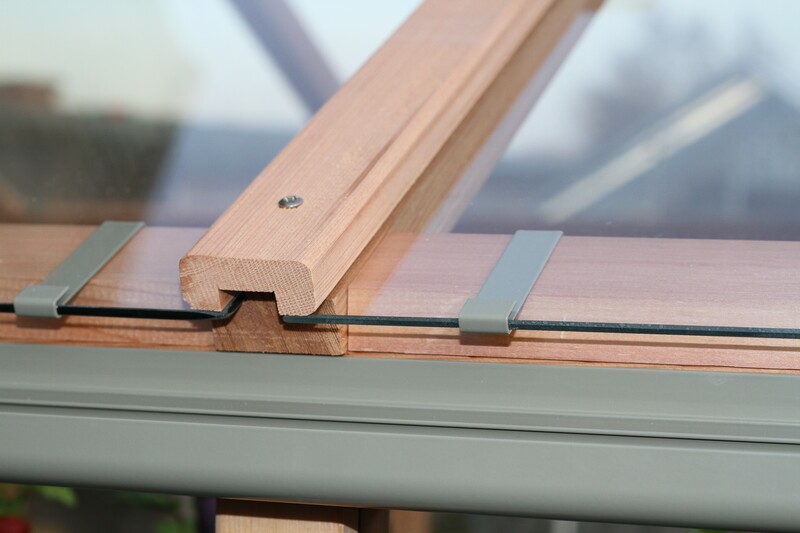 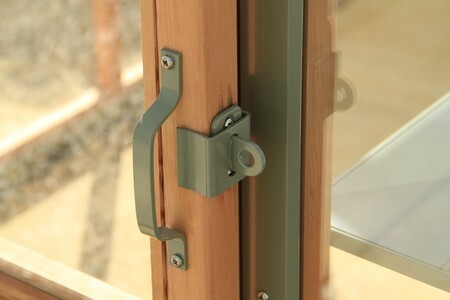 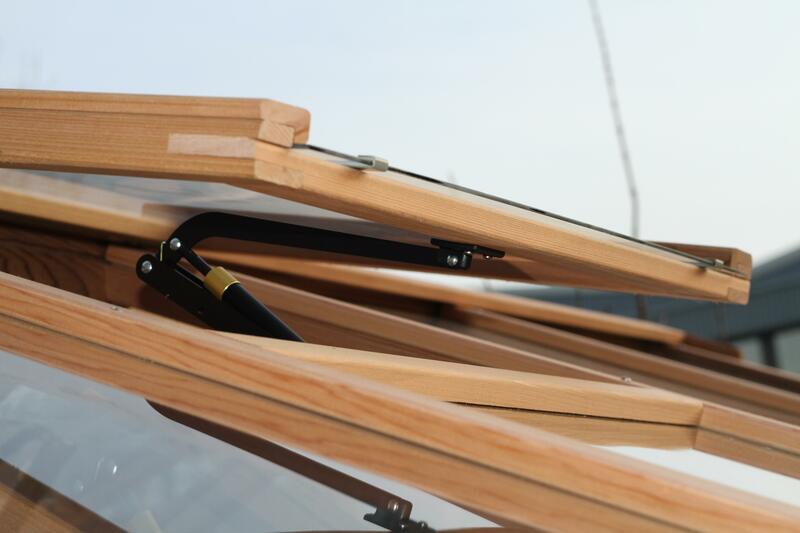 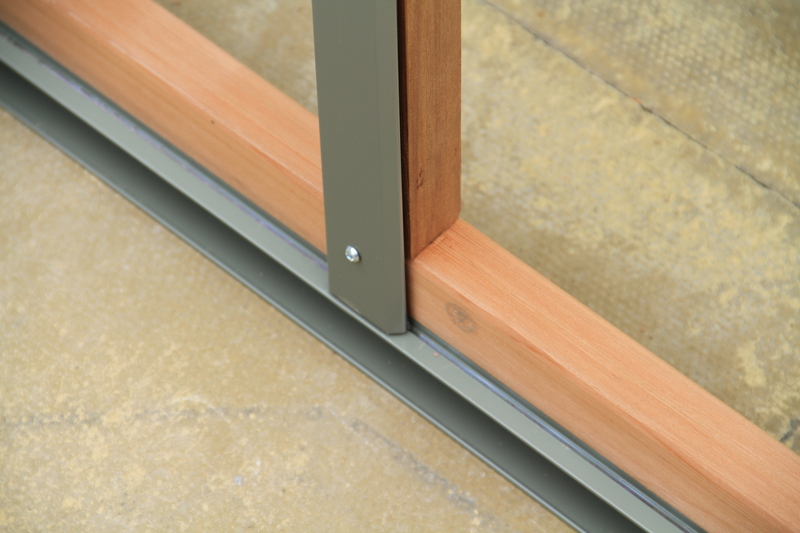 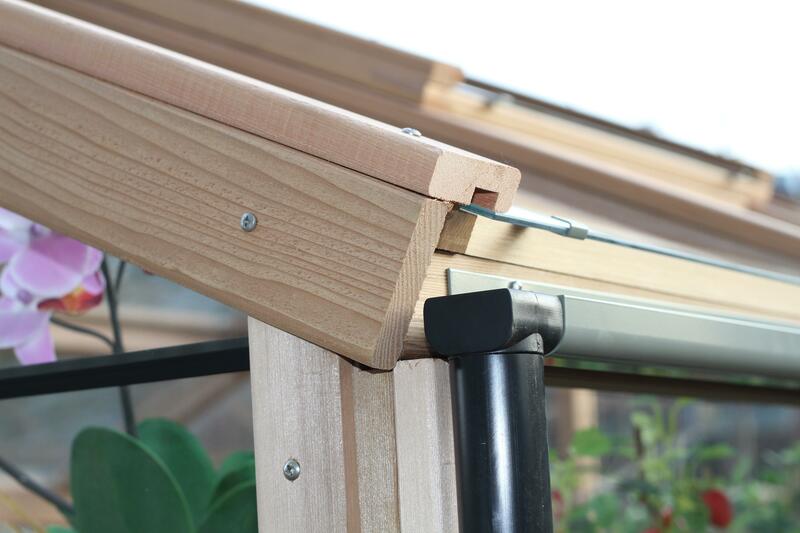 The toughened safety glass is held in with cedar bar capping as standard, and you can also upgrade to the Powder coated aluminium capping system. 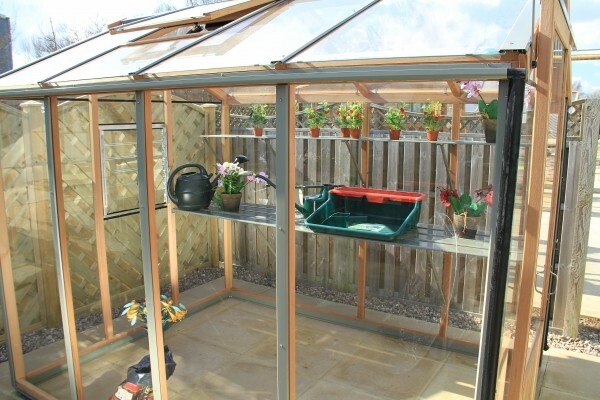 The moss colour looks good when the greenhouse is new, but blends in even more so as the greenhouses fades to its natural silvery grey colour. 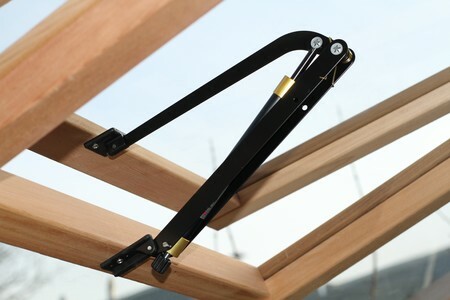 Did you also know that we factory treat these Alton greenhouses with an oil based wood preservative. 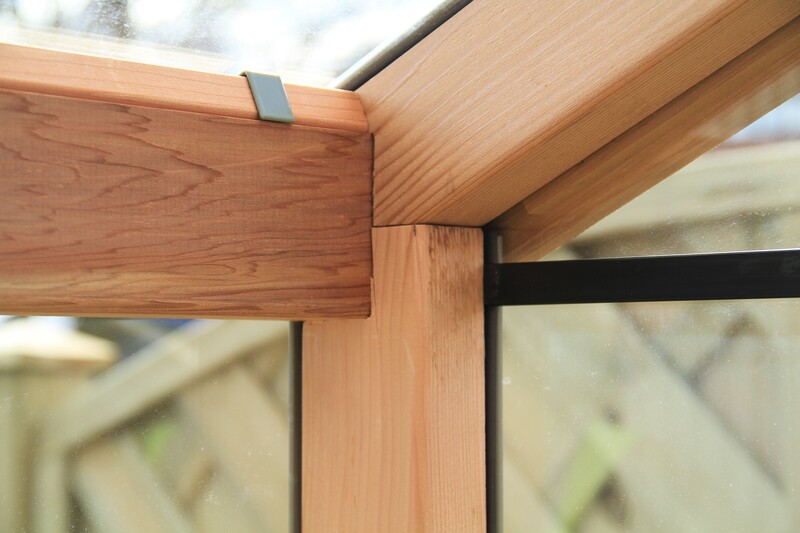 Its completely clear so it doesn’t alter the colour or look of the wood, but it does reduce staining dramatically as water doesn’t soak into the cedar so readily.